One challenge was to transform a tiny, dilapidated shack into a summer home for a family of four. A teardown was not an option because current zoning and lot restrictions would not allow for an entirely new structure to be built. A second goal was to maximize the views to the water from this lot, which is in a coastal community but set back from the shoreline. We designed carefully to save the existing road-facing gable façade and incorporate it into the new home; everything contained within was gutted and a new roof structure designed to create more volume and energy efficiency while maintaining a cottage appearance inside and out. 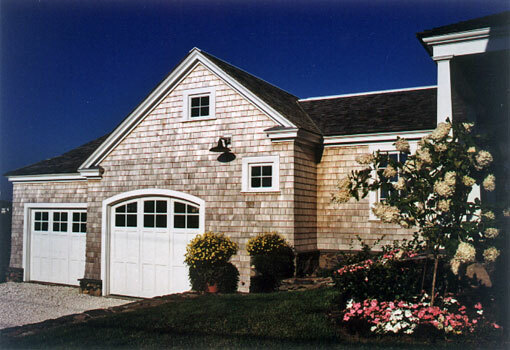 We added a wraparound porch and additions were designed to the rear and side to provide the extra space desired. The public functions are located on the second level. This unconventional layout gave the best views for those areas of the home used during daylight hours. The structure was raised three feet to accommodate a mounded septic system, which enhanced views. 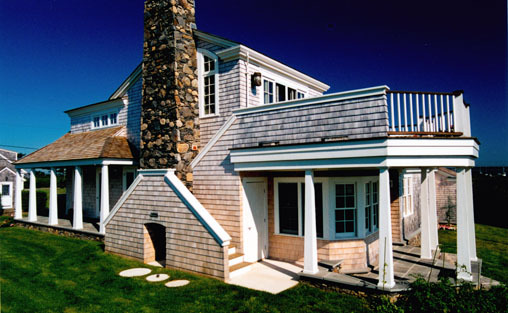 As with many of our projects, the creation of the Brown residence relied heavily on process. 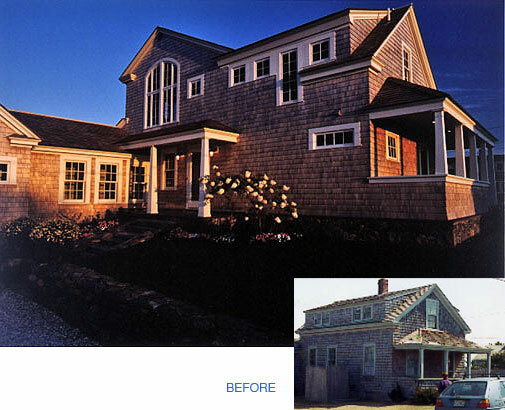 We had to completely rebuild and rearrange the existing structure without removing it.